"During the last twenty years, seven books of mine have been published as historical novels which to me are biographies of previous lives I have known." Quick flick reveals: Joan Grant's novels aren't so much lost, as severely marginalised (they were last reprinted just a couple of years ago). This must at least be partly because there can only be so much room in the literary canon (that is to say, none) for novels based on alleged reminiscences of the author's past lives. This book looks readable enough, and there is an interesting feminist slant by the look of it, although the prose isn't that inspiring. Presumably something was lost when the actual remembered events were translated from the ancient Greek. 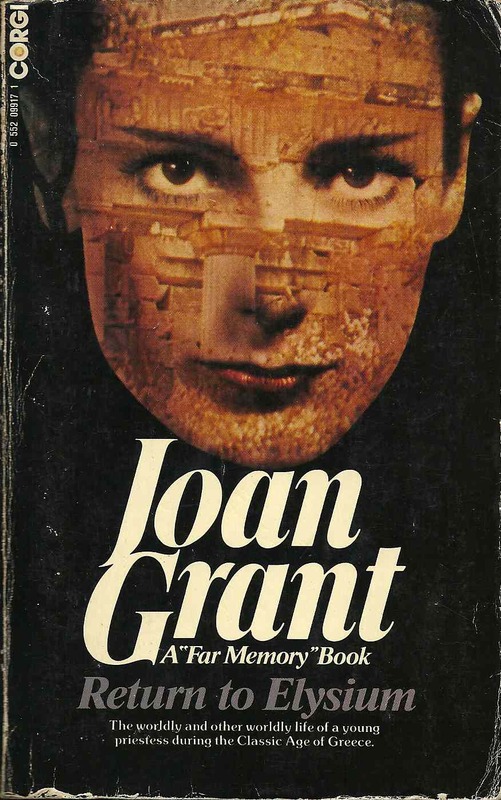 Although I had the opportunity to also acquire many other books by Joan Grant, all inspired presumably by other past lives, other than her autobiography (more of which in a bit), I didn't feel compelled to get the set. If only she'd been a Bronte sister in a past life.